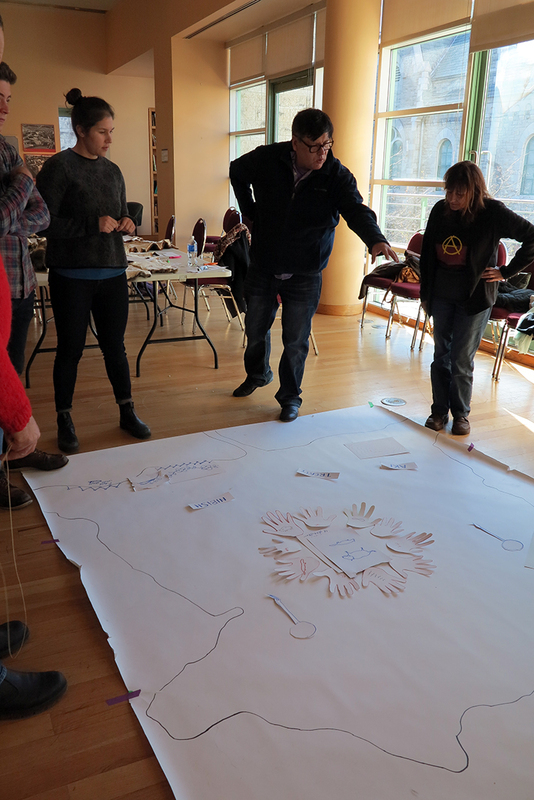 WRAPPED IN CULTURE is a powerful reclamation project grounded in community engagement. 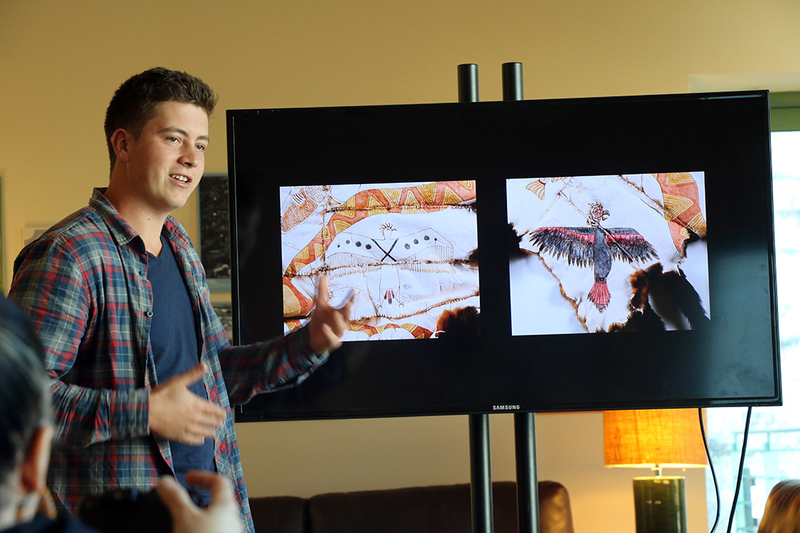 The goal of this project was to encourage an inter-cultural sharing of material history to produce a work reflective of Indigenous traditions, cultures and communities, both past and present. 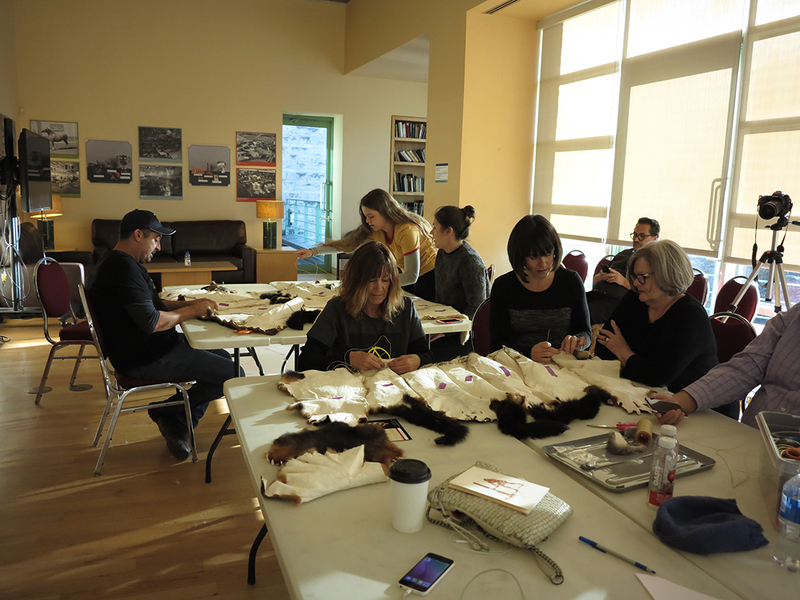 Rosalie Favell invited Indigenous artists from Australia, Trawlwoolway, and parts of Canada to Ottawa to work collectively on a three-week art collaboration to create a Buffalo Robe (Canada) and Possum Skin Cloak (Australia). The artists were Maree Clarke (Mutti Mutti, Yorta Yorta, BoonWurrung), Vicki West (Trawlwoolway), Mitch Mahoney (Boon Wurrung, Barkindji), Molly Mahoney (Boon Wurrung, Barkindji), Kerri Clarke (Boon Wurrung), Wade Mahoney (Barkindji), Barry Ace (Anishinaabe [Odawa]), Meryl McMaster (Cree), Adrian Stimson (Siksika [Blackfoot]) and Rosalie Favell (Métis). 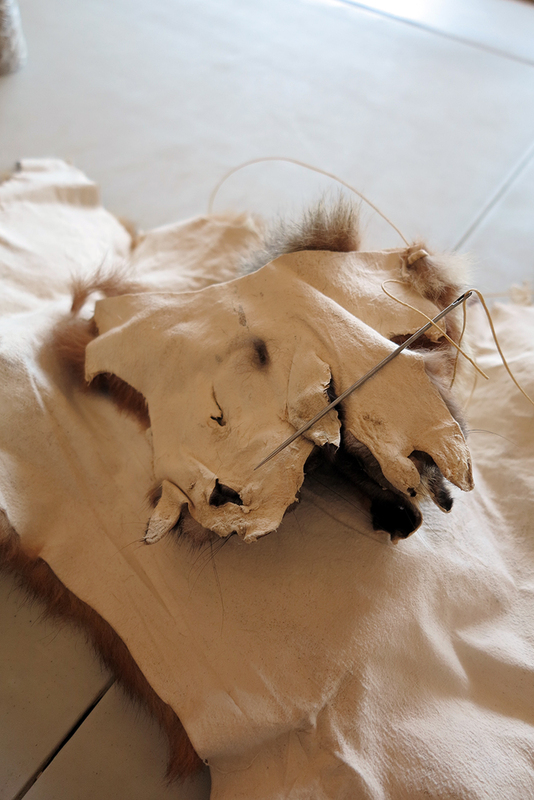 The inspiration for this project was the work of Maree and three other Australian Aboriginal women artists who revived a traditional practice through the creation of possum skin cloaks. The cloak was an article of clothing much suited to the cooler climate of south-eastern and western Australia. 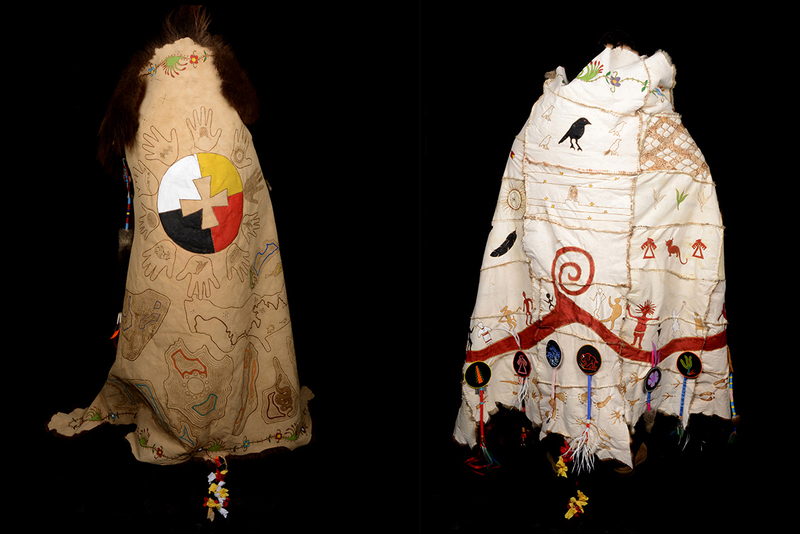 The cloaks were sacred objects that conveyed history, stories, and culture. As well they were very practical; they were slept on, used to cradle babies, and bury the dead. However, the nineteenth century experienced a decline in their creation and use as they became replaced by European clothing and blankets. Eventually, the practice of making the cloaks died out, with only a few surviving in the Museum Victoria, National Museum of Canberra and several overseas’ collections. 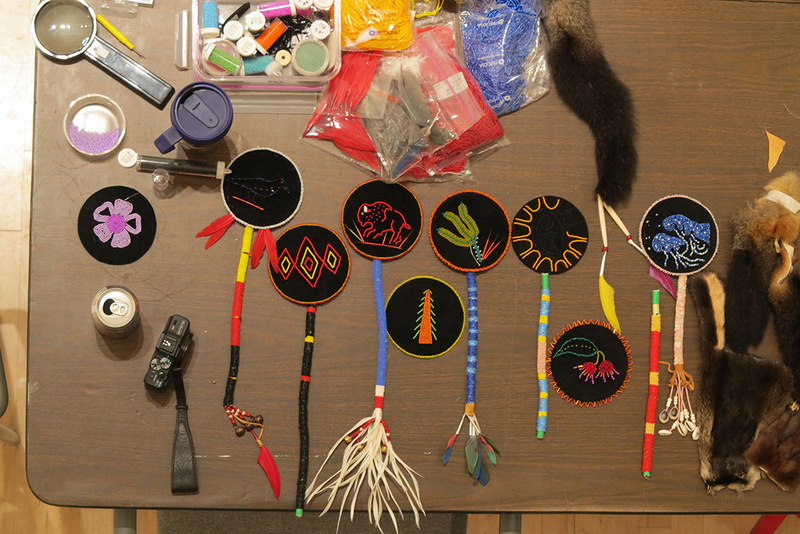 In 1999, the four artists saw the coats in the museum, and inspired by their deep historical significance, started making them in the community as a way to give its people back this traditional practice. 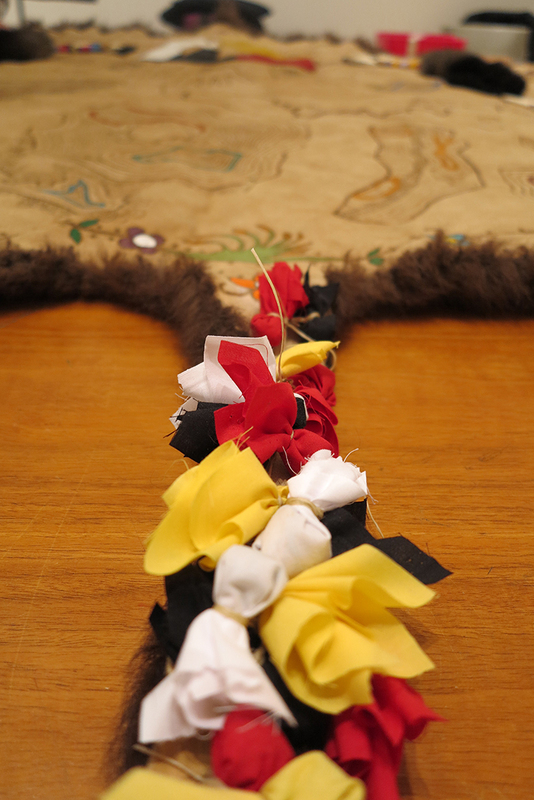 Similarly, the buffalo robe was significant and sacred to Indigenous peoples in Canada, particularly the Blackfoot. Also similar to the a possum cloak, a robe was also created as a protective garment, and a means to convey cultural narratives and record historical events, as seen in winter count robes. 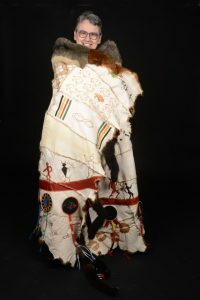 The winter count robe was an important record of a band or tribe’s experiences, often acting as a long term calendar of their activities. Pictographs would recount important events that occurred each year. 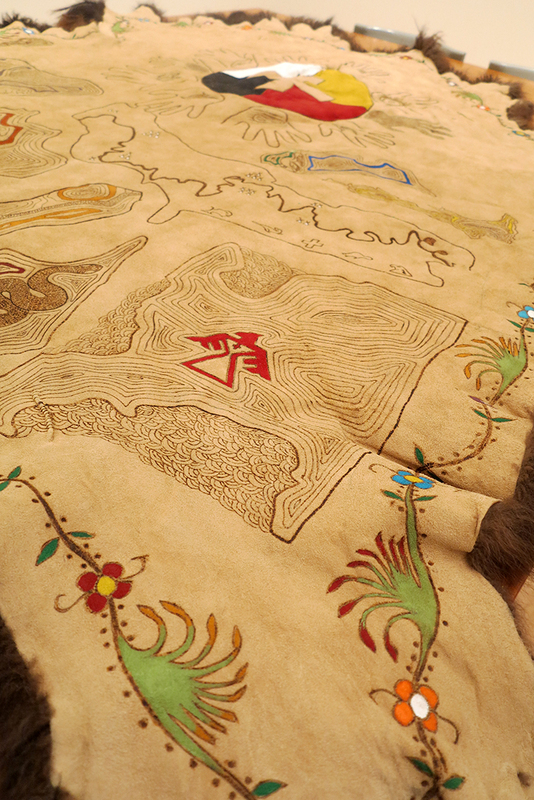 And like a possum cloak, markings were made with natural dyes. 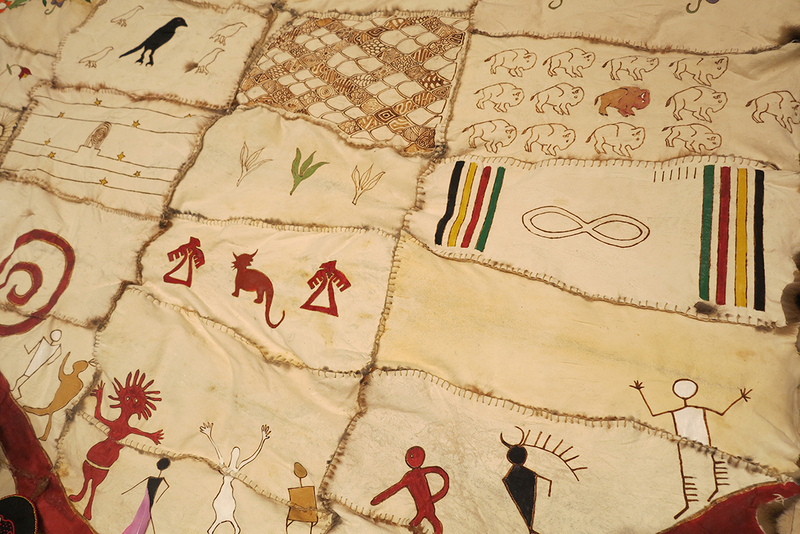 As well, in addition to providing warmth and protection from the elements, buffalo robes were also used as blankets, in ceremonies, for healing, and as a record of individual or communal achievement. The international joining of these two groups of artists to reclaim these lost traditions is an important recounting of material histories for both communities, past and present. 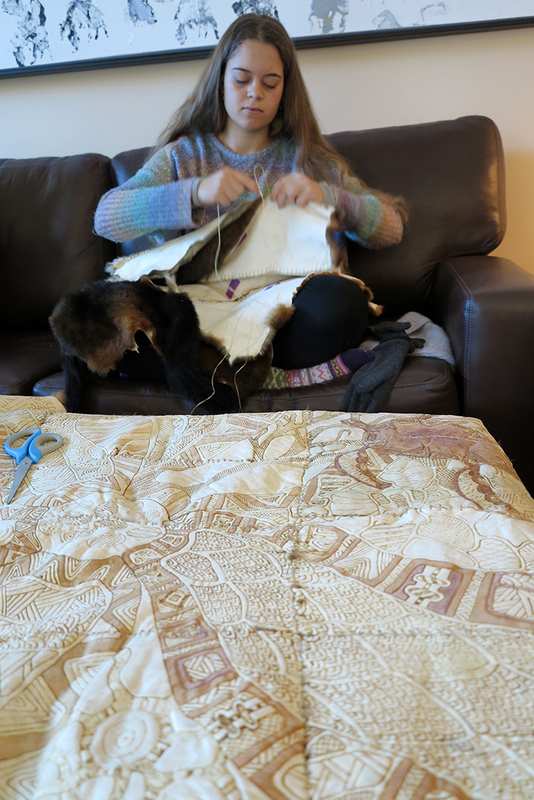 The revival of this cultural practice brought back by Maree and the other women in Australia was elaborated upon in our project making the creation of the Possum Cloak for this project, historically significant. 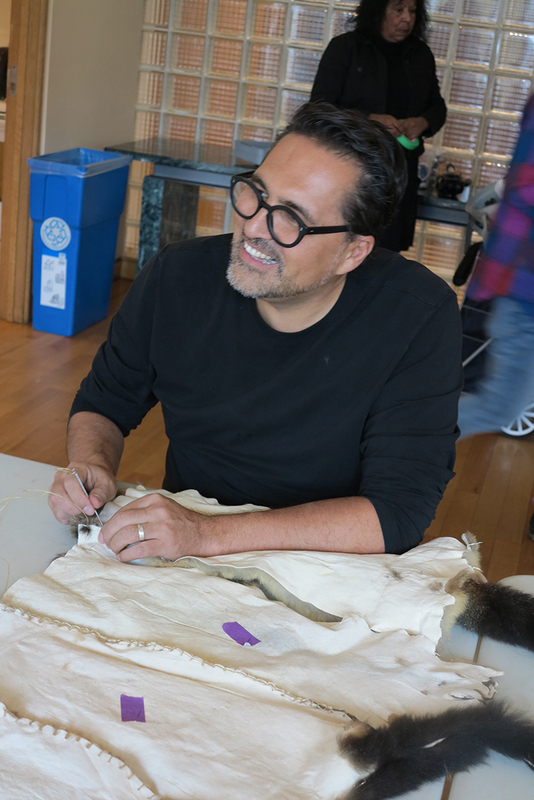 The possibility that as well, our project could encourage the revival of the practice of making of a Buffalo Robe, is also noteworthy. 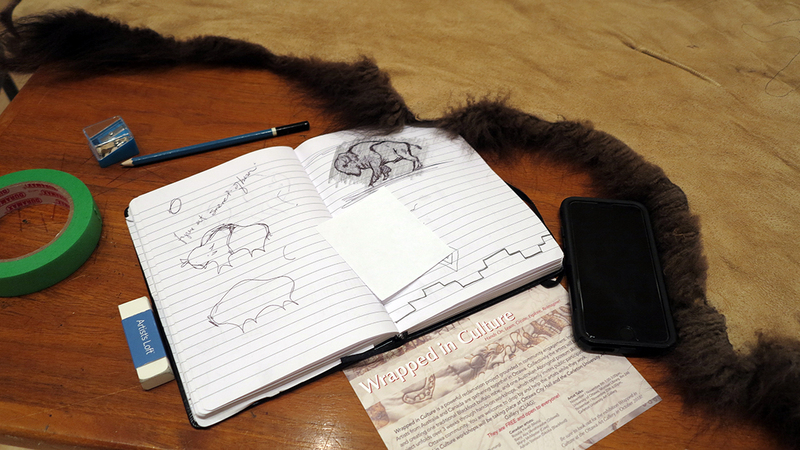 The Possum Skin Cloak and Buffalo Robe will be at the Ottawa Art Gallery from April 12 – September 15, 2019. WRAPPED IN CULTURE will then go on to tour in other locations in Canada and Australia. If you are interested in inquiring about WRAPPED IN CULTURE coming to your organization or institutition please contact Rosalie Favell. Maree has continued to work closely with communities to create possum cloaks. 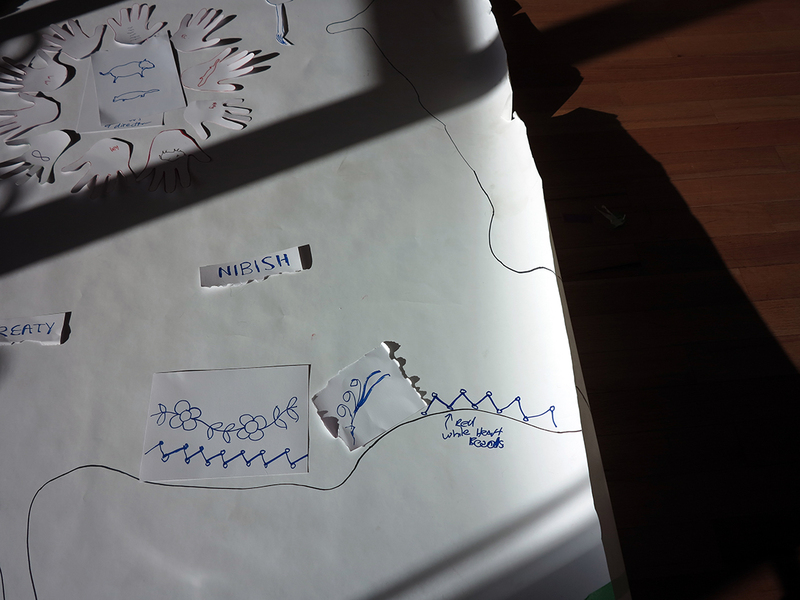 I participated in one such workshop while in Melbourne for an artist residency. 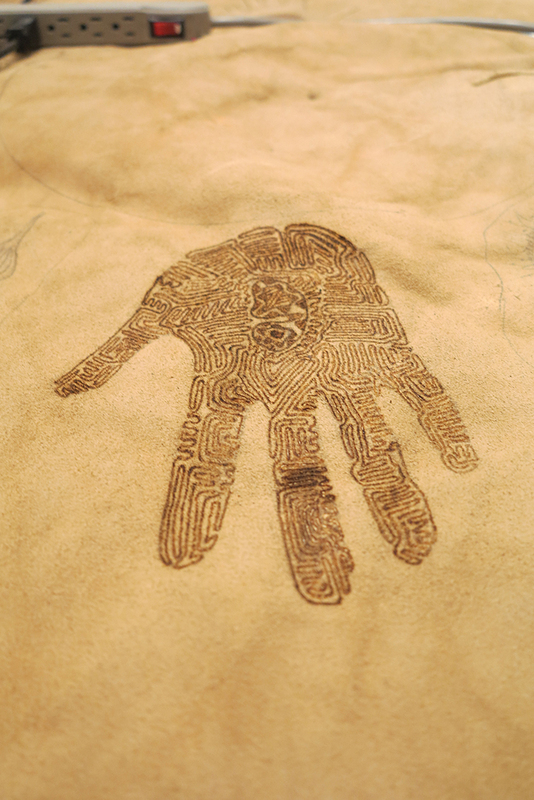 This particular project served as a reconciliation project. Along with artist Leonard J. Tregonning, Maree worked weekends with community members both Aboriginal and non-Aboriginal. 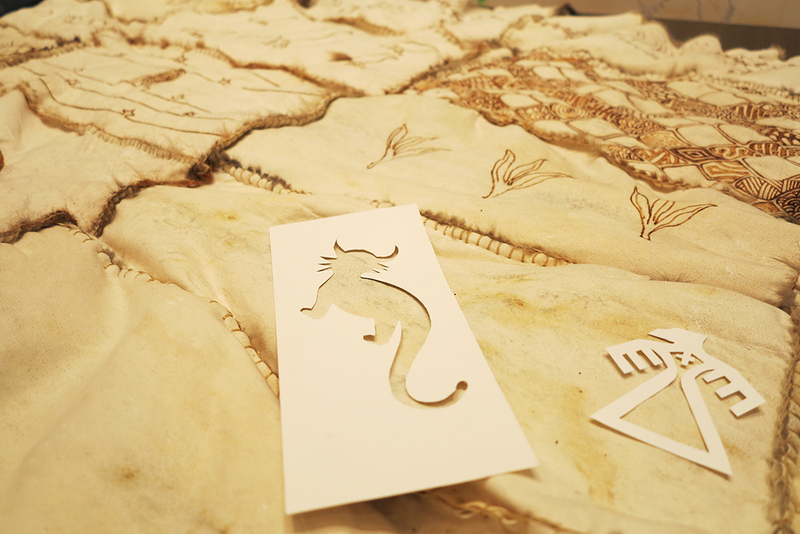 They sewed possum hides together to make the cloak, and then decorated the hide side with significant drawings, using paint and burnishing them. While parents worked on this project, their children were kept busy making didgeridoos, boomerangs and other cultural artworks. A special glass case is being built to house the possum hide. It will act as a symbol of the community reconciliation. I was very moved by the impact this activity had on the community members involved. Aboriginal culture was being celebrated and the community was healing. 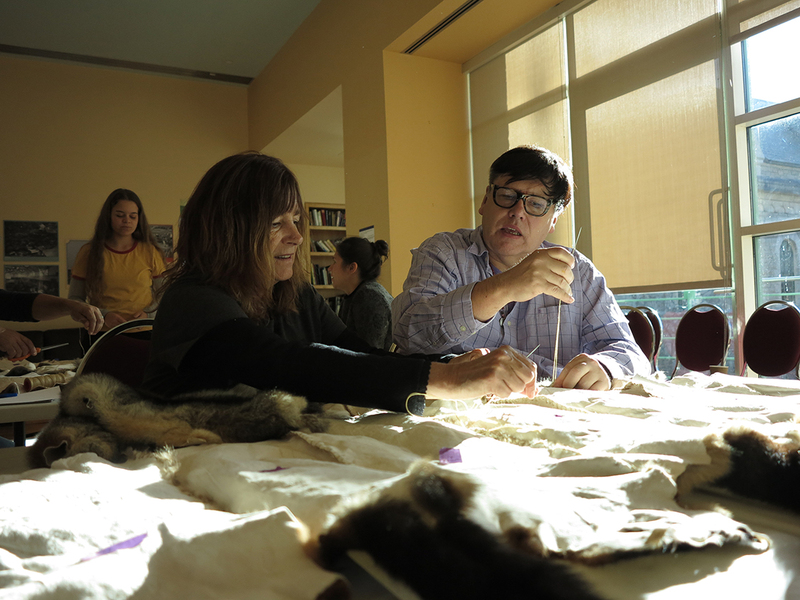 After this experience, it became my goal bring Maree and a small group of other artists from Australia to create a possum cloak here. 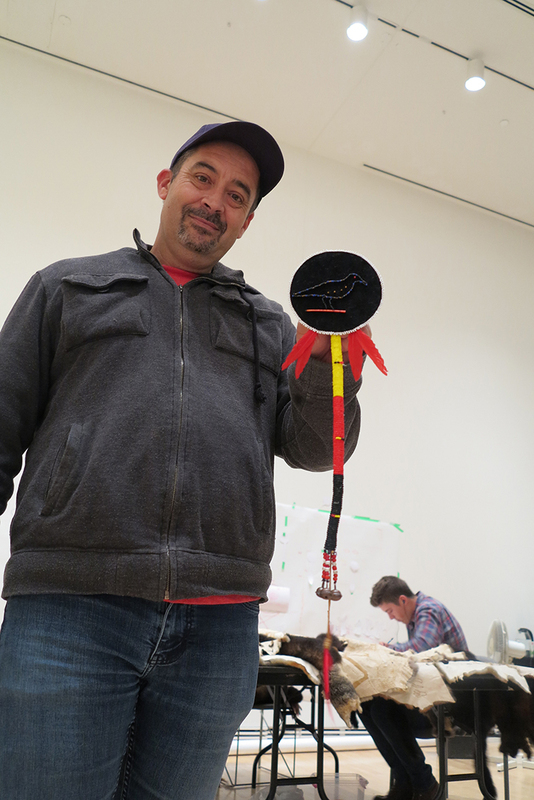 Connecting with the public, both Indigenous and non-Indigenous, while working on this project has been rewarding. 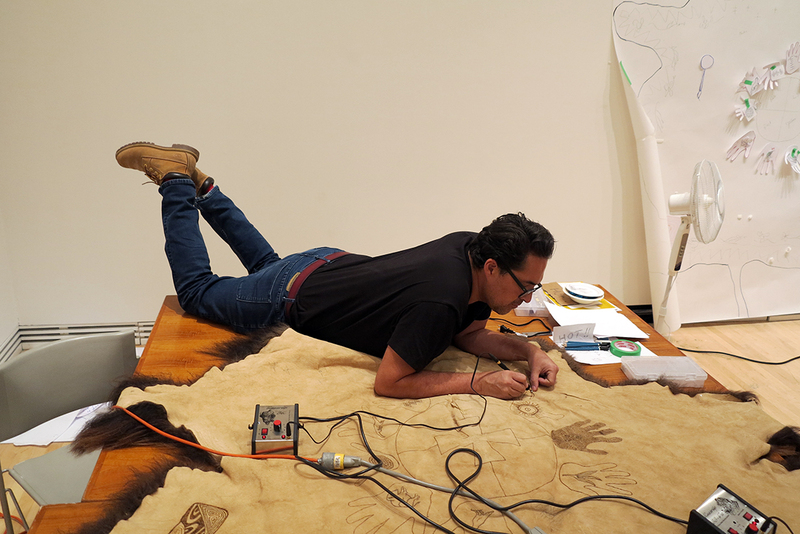 In most of my work as an artist I work alone so both the contact with the public and the pleasurable and treasurable opportunity to work with other Indigenous artists was incredible. 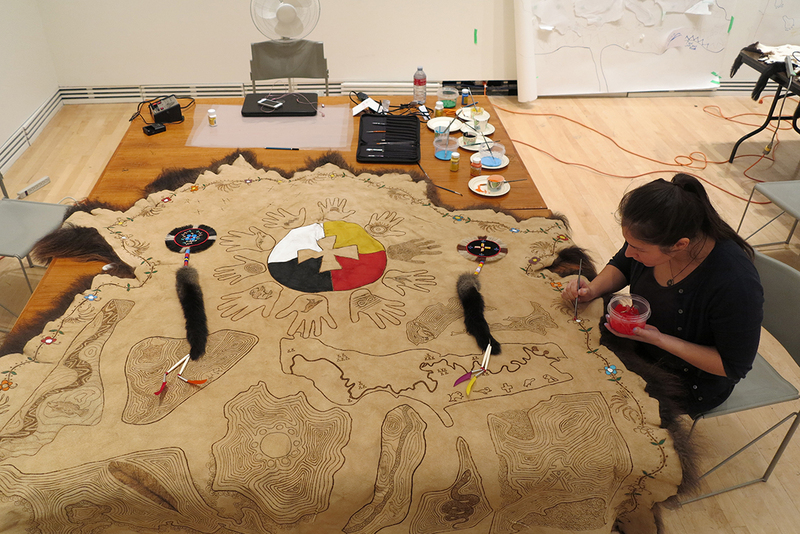 WRAPPED IN CULTURE was made possible through the Canada Council for the Arts New Chapter Grant and partnerships with the Ottawa Art Gallery (OAG), City of Ottawa, Carleton University Art Gallery (CUAG) and the High Commission of Australia. IMAGE CREDITS: Top courtesy of Leah Snyder | Bottom courtesy of Rosalie Favell | Gallery images courtesy of Leah Snyder & Rosalie Favell.